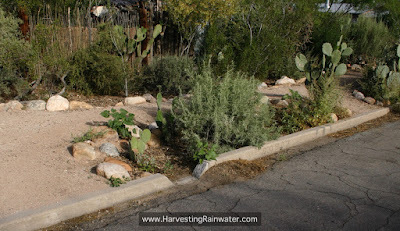 Sustainable Living Tucson: Rain in Tucson! A Reason to Celebrate? 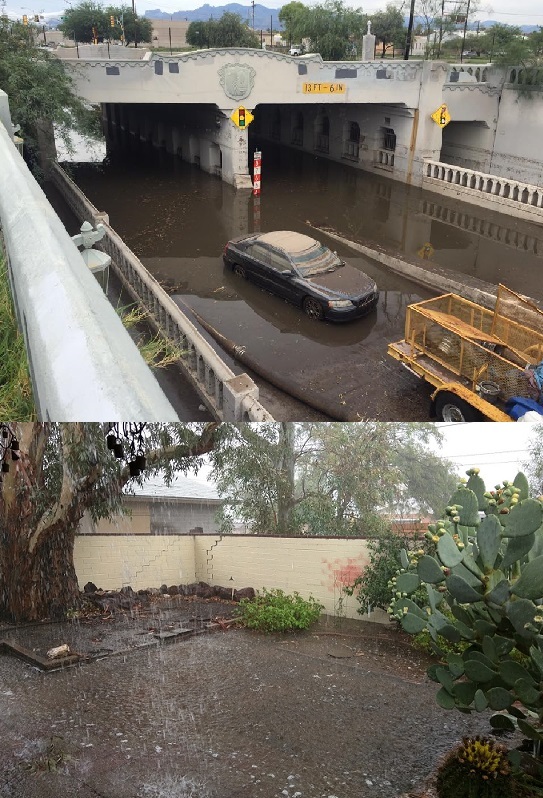 This is what we call "flood control" in Tucson. Our infrastructure was designed so rainwater is directed into the streets where it creates hazardous driving conditions until it evaporates in the hot desert sun. This makes me crazy! The other day, while waiting for my friend at a neighborhood restaurant, I noticed that water was flowing out of their parking lot and into the street. I figured they had left the hose on so I went to investigate. I followed the stream of water up the side of the parking lot where it made a hard right turn then went along until the end of the pavement, then under a cute pedestrian bridge and to a WASH. So the water collected in the wash was being directed out into the street! Arghhh! 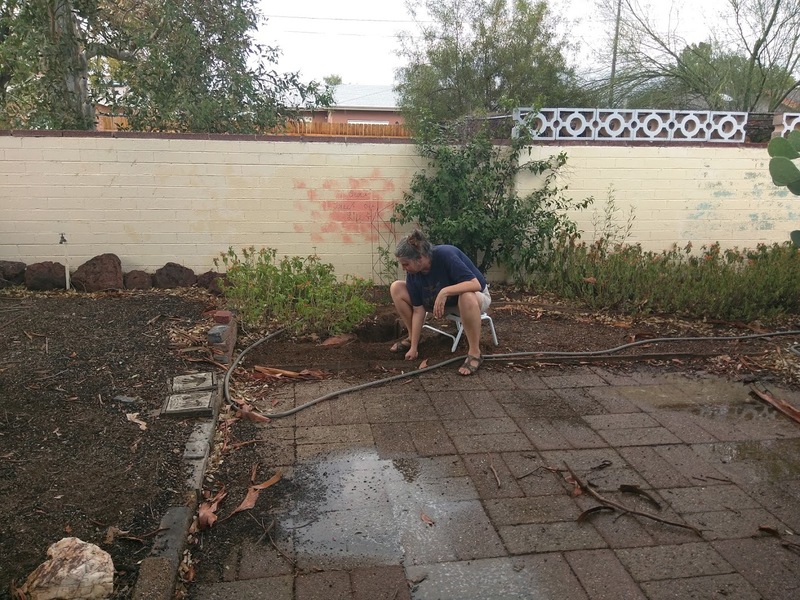 While Dan and I couldn't wait to earn enough co-op hours to get our own catchment basin to "plant the water," precious agua was being directed into the street to evaporate! 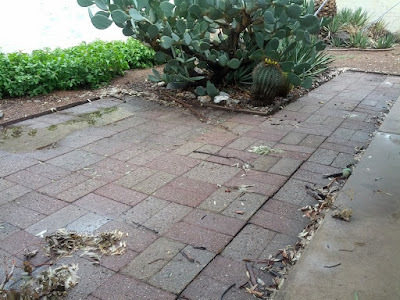 This is Tucson recently posted the article, "Here's why those same Tucson streets flood every time it rains." According to the article, the reason we have flooding is because it would cost $100 million to fix the 47 projects that flood every year. The attitude of the state officials is "Why bother? 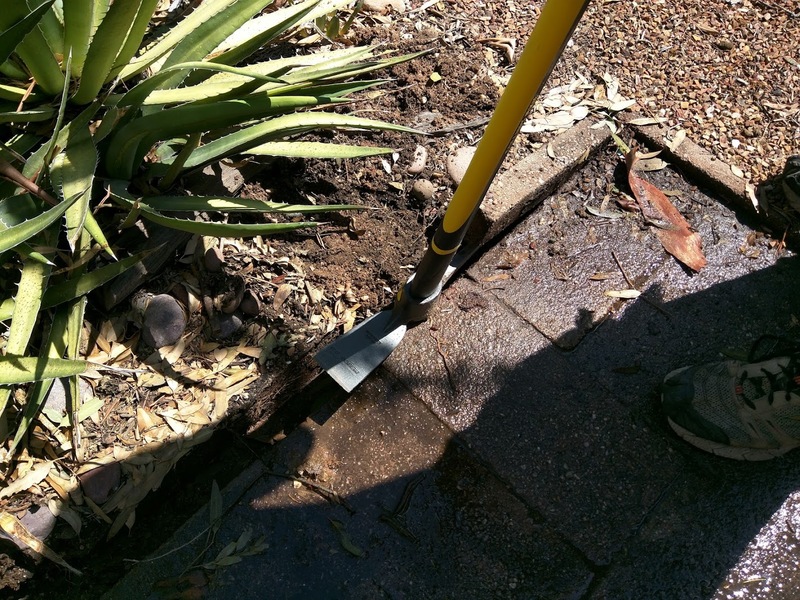 Just leave the water in the street and it will evaporate." But that is just the point. We need an infrastructure that directs the rain so it sinks into our depleted aquifer instead of just letting it evaporate. 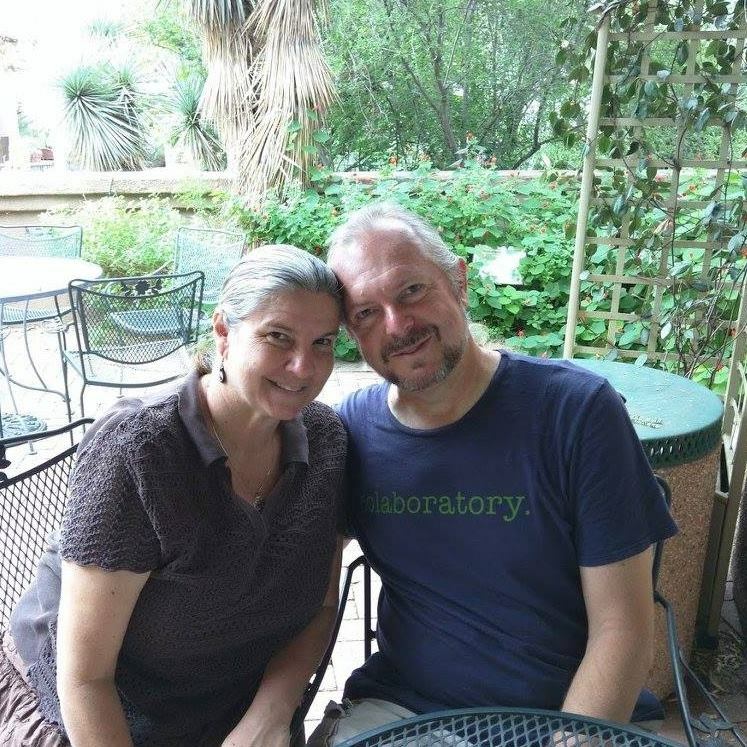 There is actually enough rainfall to supply water for every person in Tucson! That doesn't seem to be our representatives priority - even with Tucson suffering from a 20 year drought. 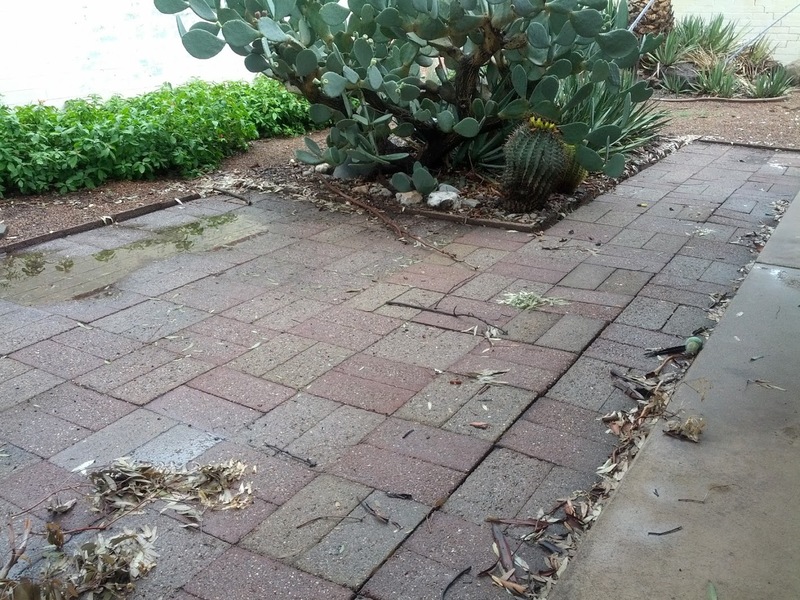 Curb cuts get rainwater off of city streets to water native plants and our aquifer. Watershed Management Group has come up with a solution to our water woes! And the solution is in our own backyard! And front yard! They are encouraging people to irrigate desert landscaping with our abundant rainwater! By working together to "plant the rain" with cisterns, road cuts, and rainwater harvesting we can restore our ground water and get the rivers flowing again! How amazing is that!? 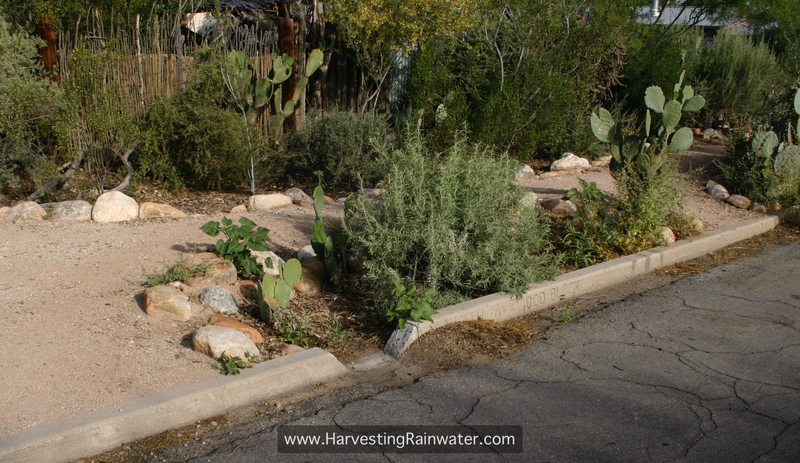 The idea is to keep water in your yard instead of running off into the street - directing rainwater to irrigate native plants, fruit trees, and gardens while sinking it into the ground. 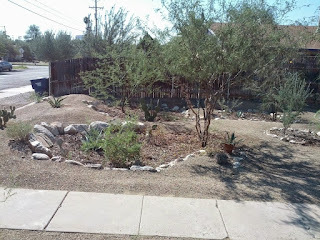 A while ago we made some minor adjustments in our yard to make use of the runoff to water our hummingbird trumpets. You might recall me frantically hacking at the bricks that were trapping the water on our patio. (It wasn't a pretty sight!) Dan had suggested that if I used the right tool for the job, I could get that brick out lickety-split (actually that's my mom's word) with the brick intact. Yesterday's monsoon was the perfect time to test how well they drained.... After three hours of raining, our "wading pool" drained in a few minutes! And I have to admit, Dan's drained better! We can use a similar technique to get water off of our city streets! By putting in curb cuts, rainwater is directed to roadside catchment basins to irrigate native trees and restore our aquifer! 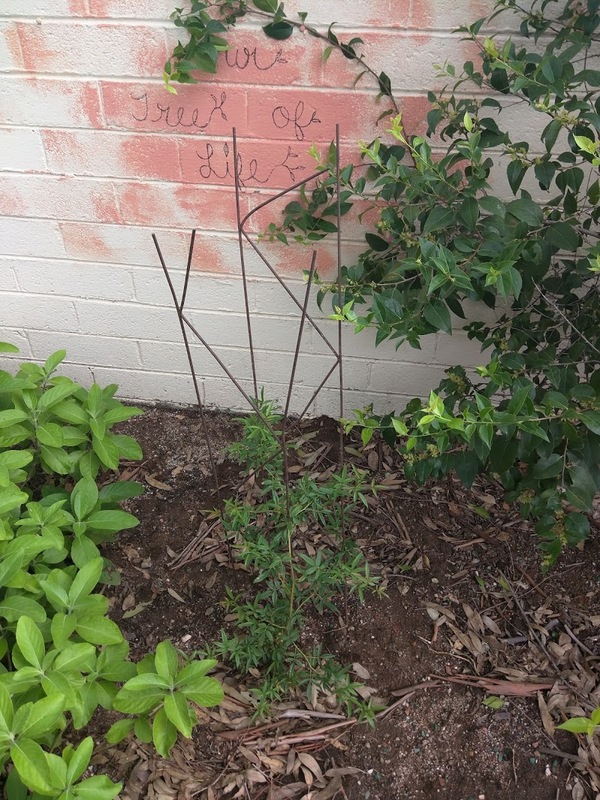 See how our little Tree of Life is flourishing! By working together we can take advantage of our abundant rainfall to make our city greener, save city water, and get rainwater out of our city streets! Making use of all that glorious rain is a great reason to celebrate! Is "r-r-right" a Tony the Tiger reference? Either way, the article you link to is obnoxious, and makes me want to be filthy rich so I can donate all the money to all the causes (specifically WMG). Thanks for sharing! Do you think a rain barrel is a good way to capture the rainwater. I have a 50 gallon one on my property and use it to water my plants. It seems like the city could put some up too in parks or around public buildings to capture water for plants. Inexpensive and practical solution.